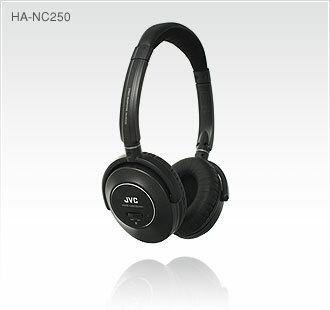 JVC HA-NC250 combines outstanding sound quality with advanced noise canceling and isolation technologies to provide a superior listening experience. The HA-NC250's noise cancelation circuitry includes feedback technology that continuously monitors the noise cancellation process and reduces ambient noise by up to 85% as a result. 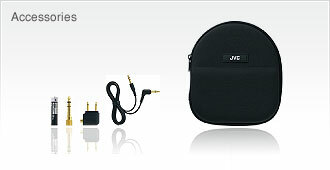 In addition, it offers two JVC innovative technologies: dual layer of headphone housing and cushioned, smooth-to-the-touch ear pads made of memory foam. Both of them serve to isolate the user from background noise. At 5.3 oz., it weighs in as one of the lightest in its class, ensuring optimum portability by folding away easily into the slim case. In addition to the slim case, a dual plug adaptor for in-flight use, AAA battery and 1/4-inch plug adaptor included in the package. Copyright (c) 2014 JVCKENWOOD USA Corporation. All Rights Reserved.